Get certified, get on the Web, get more exposure! YES will build a custom SCI Web Page that displays your achievements and helps regional schools find you! Your name is in the address bar, which helps search engines and people find your personal SCI Web page. Don't be shy - show your stuff with headshots, action shots & group photos. Regional cyclists can find you using a dynamic map that includes search-by-location & contact info. You earned it, and this page can list all your achievements, including a bio, credentials & certifications! The seal was designed to separate School Cycling Instructors from the rest of the pack. Any School Cycling Instructor level 1 - 3 can request a personal Web page. This page can be customized with photos, contact information, credentials, cycling disciplines, qualifications, certifications and experience. 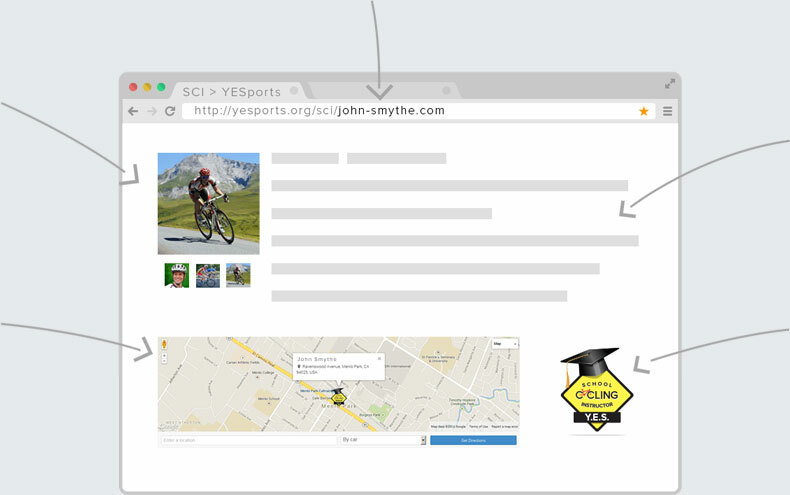 And because YESports.org enjoys several thousand visits per week from cyclists all over the world, these personalized SCI Web pages receive significant exposure. Find out how YES can put your cycling skills on the Web and the Map!